After a lay day in Vaxholm and also a visit to Stockholm to visit the Royal Palace and also drop Anne off at the airport bus, we headed off again today. As a first stop, we headed across once again to Krokholmsviken. The weather remains glorious … for motoring! 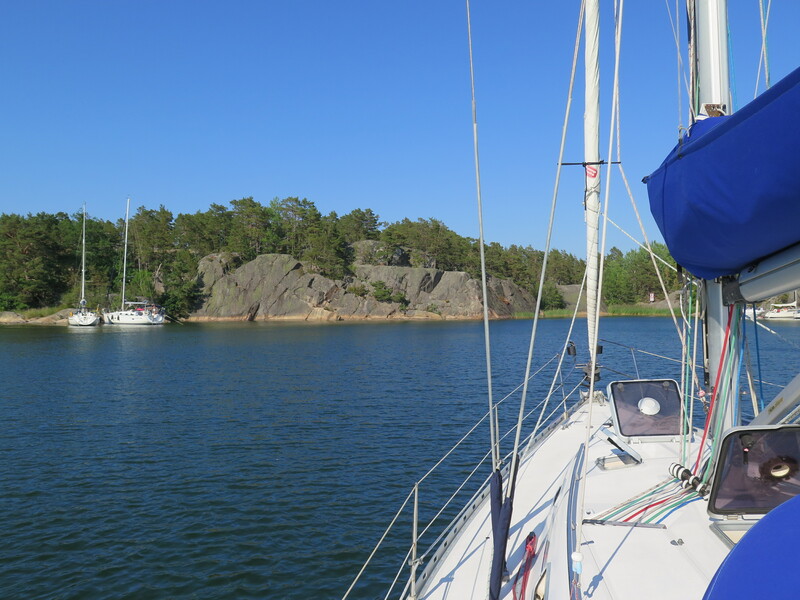 Despite not enough breeze to sail, and what breeze there was being right on the nose anyway, we had a lovely trip across and once again into Krokholmsviken near Stavsudda. A tight entrance into the bay, but once we got in, everyone wanted to be on the rocks, so we had our choice of anchoring spot. Eventually there were three of us anchored for the night – us and two Germans. Oddly they seemed to swing in the opposite direction to us during the night, but that’s Brexit for you ….